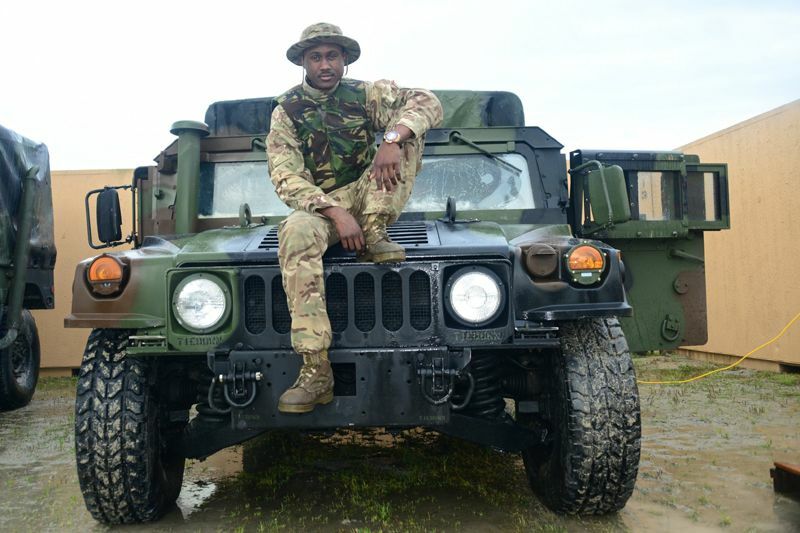 Bermuda’s soldiers ‘battled’ rainstorms caused by Tropical Storm Ana, with troops facing downpours as they began a force-on-force exercise, where opposing Regiment platoons will take each other on in battle conditions designed to test their military skills and teamwork. Almost all of the 180-plus Bermuda contingent left barracks accommodation at the US Marines’ Camp Lejeune in North Carolina on Sunday night and joined troops who have been out in the field for nearly a week. Private Craig Smith and his armoured Humvee troop transport. Soldiers used laser weapons supplied by the US Marines to simulate battle conditions and slept in the field under shelters made using Regiment-issued ponchos. 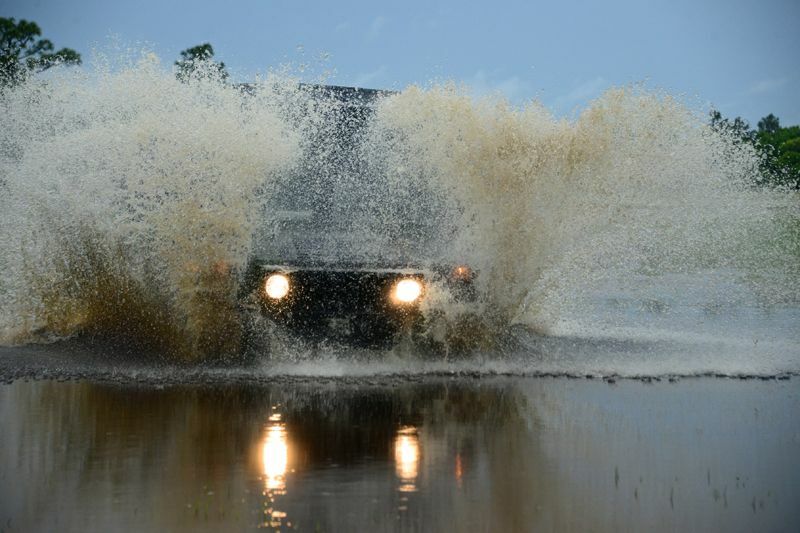 Regiment driver Private Craig Smith powers his Humvee through a mini-lake left after tropical storm downpours drenched Camp Lejeune. Sergeant-Major Rupert Lambert, who was working at B Company HQ in a wooded area in one of the massive training areas, said: “There are absolutely no complaints. 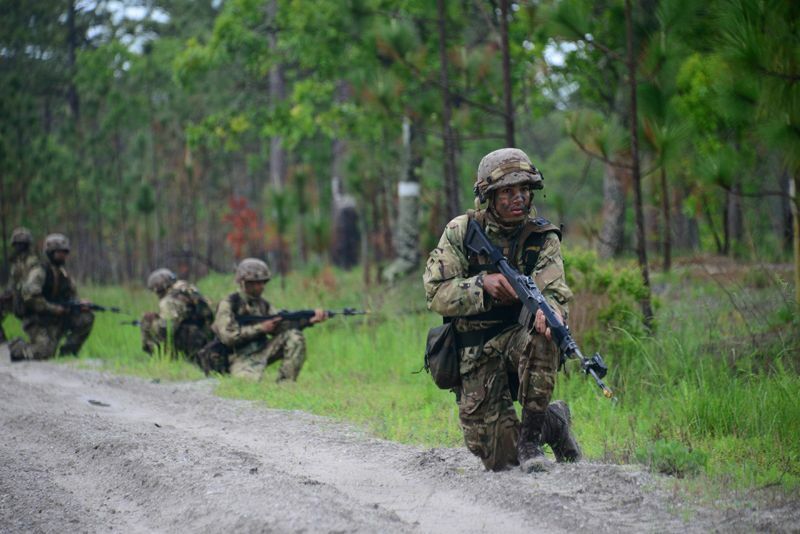 Regiment soldiers protect their field HQ as part of a major exercise at Camp Lejeune. 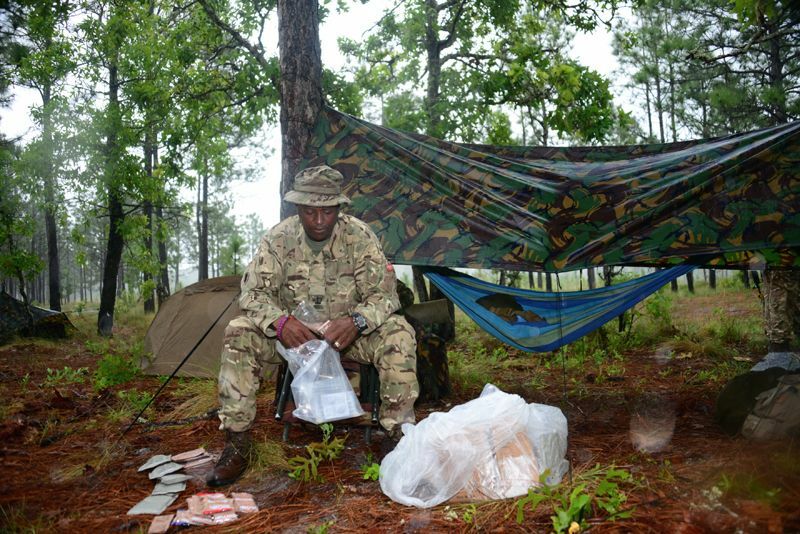 Sergeant Major Rupert Lambert cuts his ration packs down to the minimum to save weight. 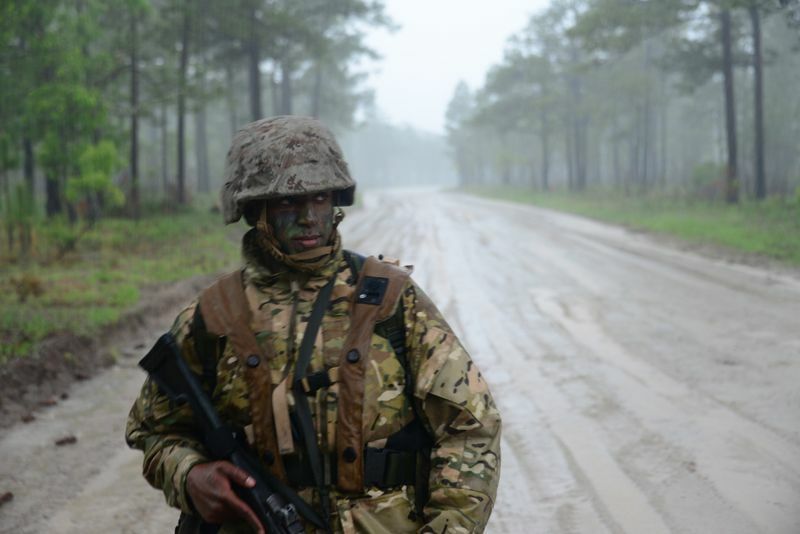 Private Philip Dyer, from Pembroke, stands watch in torrential rain at Camp Lejeune. Regiment Adjutant Major Ben Beasley, who is Operations Officer for the exercise, said: “You can see on their faces our soldiers are being challenged – but they are passing those challenges with flying colours. “And the leadership, from Corporals up to officers, is being tested to make sure they can provide motivation.